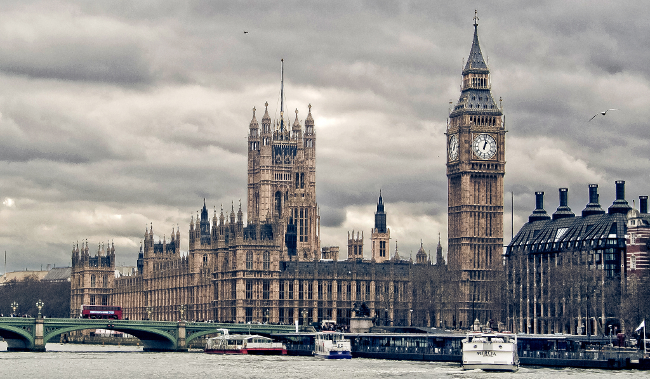 The Palace of Westminster is falling down, but does the public care? In the age of tech startups that hold office meetings around ping-pong tables, the argument about a multi-billion pound refurbishment of the Palace of Westminster has rarely seemed more out of time. Inherent conservatism has dominated the project from the start, despite the best efforts of would-be reformers. Few reckon, for instance, that the Commons will replace its adversarial chamber with the semi-circle beloved of many modern legislatures. Furthermore, the idea of moving to a new location in Westminster – leaving the Palace as a museum – has been largely poo-pooed, despite estimates it could cost as little as £500m to build a new complex. And as for the notion that the entire political apparatus, including the denizens of Whitehall, should up sticks to somewhere more northern like Birmingham – forget it. The entire episode is an alluring metaphor for the decay in politics perceived by many Britons. Newcomers to Westminster have in recent years described the building as akin to Hogwarts, the secluded boarding school from the Harry Potter books. Progressives lambast the institution, and especially its most famous session Prime Minister’s Questions, as indicative of the privileged, privately-educated, white men that dominate it. Yet the disdain for many of the habits of Parliament has yet to coalesce into a real campaign to reform things, according to panellists at a recent Hansard Society event attended by the Right Dishonourable. One parliamentary staffer, dressed in Victorian garb, made light of the odd habits that the building upholds, despite noting the advantages of having a building that intimidates outsiders. “It’s quite useful to have this intimidating exterior, because it invests you with authority and takes away your individuality,” he said, though he added that he wished the public was more engaged with parliamentary life. Indeed, one of the problems hampering reformers is that the public don’t seem to care. At the debate the point was made many times over that the taxpaying public is unlikely to be happy shelling out for new accommodation for MPs. Estimates for how much it will cost depend on whether politicians are decanted into other nearby buildings during work. A rolling programme lasting 32 years would cost £5.6bn, whilst a full evacuation could see work completed in six years at a cost of £3.5bn, according to Ruth Fox, director of the Hansard Society. A joint committee is set to deliver its recommendations for how such a scheme should be carried out in several weeks, after which it will be voted on by Parliament. But the longer things take, the more likely it is that governments will tamper with plans, delaying completion and upping the cost. It is possible that a national competition akin to that which chose Charles Barry, the architect behind the current iteration of the Palace built in the mid-1800s, could spark greater public enthusiasm. As Flinders added, there is a danger of reformists getting hung up on the building, when it is really the culture that many want to change. Former prime minister Winston Churchill famously argued that “we shape our buildings, and afterwards our buildings shape us”, right before rebuilding the Commons chamber damaged in October 1943 by German bombs exactly as it had been. Yet it’s worth pointing out the famously stalemated American Congress is the horseshoe shape more consensual politicians believe fosters greater cooperation between political parties. More than that, it is arguable the first-past-the-post electoral system is what really prevents the British legislature from representing the political opinions of their constituents. Many more varied European parliaments favour more proportional systems. Geoff Mulgan, director of innovation charity Nesta, is keen that the restoration take advantage of digital technology. “Almost every process in democracy can be enhanced by digital tools,” he said. As examples, he pointed at crowdsourcing tools for legislation that have been pioneered in Finland, the Icelandic capital Reykjavik, and the French capital Paris. Podemos, a leftwing Spanish party, use social networks like Reddit to draw up policy from members. Electronic voting for MPs is another common item on the wishlists of members tired of dashing to the chamber for votes. Unfortunately British governments have an unhappy history of implementing IT, as showcased at some length in The Blunders of Our Governments. But maybe this time will be different. Switching the Commons and Lords debating chambers to another building for several years might well shake the parliamentarians out of old habits, Flinders said. Mulgan was more pessimistic about cultural change, but pointed out that Britain has successfully built several parliaments in recent years, notably the Welsh Assembly and the Scottish Parliament (the latter of which overshot on costs). There was a sense at the event that some things must change for Westminster to retain or regain any credibility in the eyes of the people it is supposed to serve. “What cannot happen in 20 years is you unwrap the scaffolding and everyone says it’s exactly the same,” Flinders said, more in hope than certainty. At the very least, they could buy some ping-pong tables.